I was humbled and thankful to find out that Valerie Murray wanted to write a book review on her website after reading my latest book on the power of prayer. I hope you are blessed as you read the review, and gain some insights from my answers to the interview questions she posed to me. Horace Williams has experienced the power of prayer first-hand. Six years ago he suffered a major stroke that paralyzed his entire left side. He was in constant pain and didn’t know if he would ever walk again. He wrote Unleash the Power of Prayer: A Power That Transforms Lives using only one hand. His book won the 2017 bronze medal in the Christian-Non-fiction category from Reader’s’ Favorites! I have gotten pretty good at typing with my right hand to share the truths of God’s word. I see God working in my life as He hears my prayers for strength and help to walk again. I do not focus on what has not happened yet. I thank God every day for blessing me with the opportunity to see the sunrise each morning and continuing to heal my body but also transform my heart. I got to know Horace in a conversation on my blog post What It’s Like To Be Afraid to Drive. He left a comment about trusting God with his uneasiness about driving again after having his stroke. His positive attitude has always encouraged me and his love for God is evident in everything he writes. When you seek God in prayer, come to Him selflessly with a desire to hear from Him. Let Him shower you with His wisdom and the direction only He can provide. 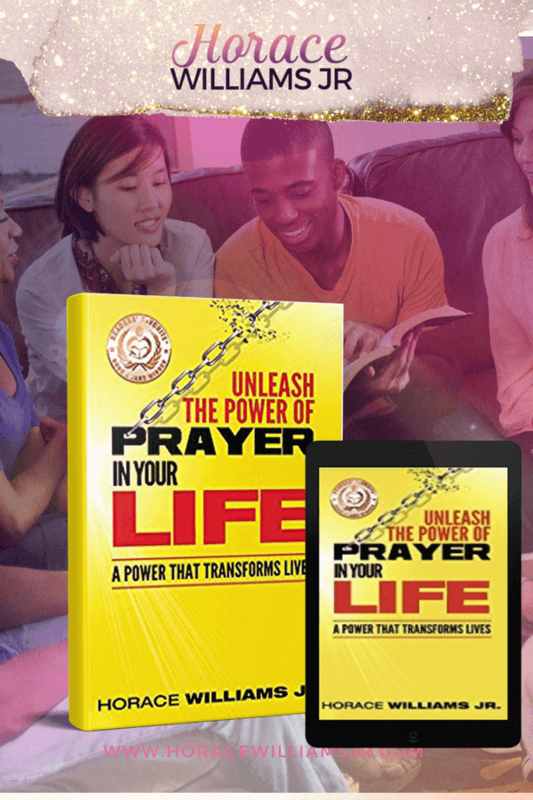 This short 62-page book is a thorough guide about prayer. It’s great for both Christians and non-Christians because he explains the fundamentals of prayer so well. He answers the questions: Whom is prayer for? Why should I pray? When should I pray? What do I need to pray effectively? How does forgiveness affect my prayer life? How can I be sure God hears my prayers? How does the power of prayer transform lives? I wanted to ask Horace a few questions to see how he got through such a difficult time. His answers show his great faith and God’s amazing love. You can read all of the interview questions and his answers over at my site, Cord of 6, by clicking here. Horace, Congratulations on your book winning a Reader’s Favorite award. It is a wonderful book, and you are a true inspiration! Have a blessed Thanksgiving. Thank you Debbie for your kind words. I thank God for allowing me to serve Him and do something I love. I pray all who read this book are encouraged and inspired to pray with purpose. Thaks again for your support. Happy Thanksgiving to you and yours as well.